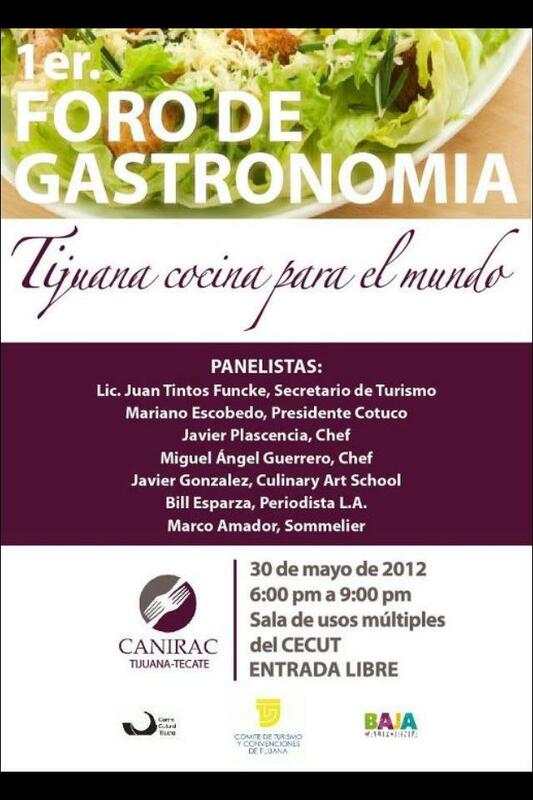 I'm honored and overjoyed to be participating in Tijuana's 1st Gastronomic forum with evening at the Cecut in the Zona Rio. 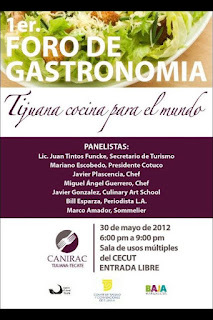 The theme is "Tijuana cooks for the world". The event is free to the public and the panelists include Tijuana chef's Javier Plascencia (Mision 19), Miguel Angel Guerrero (La Querencia); Mariano Escobedo (Cotuco), Lic, Juan Tintos Funcke (Sec. of Tourism), Javier Gonzalez (Culinary Art School), Marco Amador (sommelier), and myself. 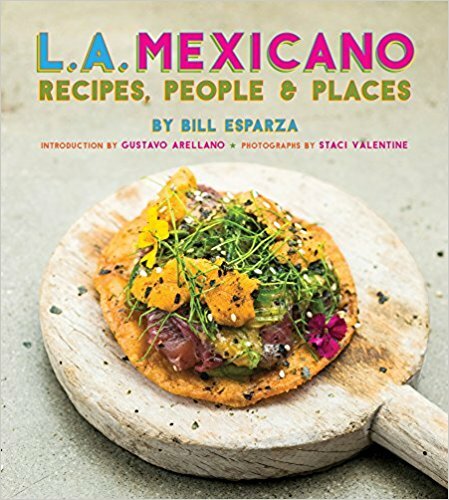 I will be talking about ingredients, using fresh tortillas made in house or from tortillerias using nixtamal, how to better understand US blogger culture, and encouraging young chefs to participate in the street food movement as a pathway to a brick and mortar.